In order to cope with the challenges of an increasingly VUCA environment, developing and nurturing creativity is an important capability for organizations. 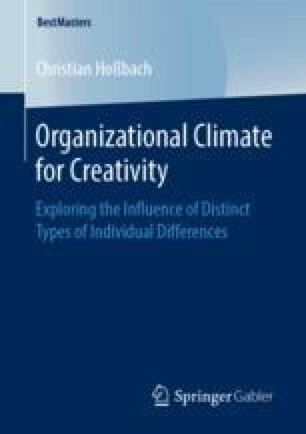 The results of this thesis indicated that people of different problem-solving styles and gender do have different perceptions of organizational climates for creativity. This provides support for the assumption that there is no single manifestation of creative climate that is perceived as equally conducive to creativity by different people.